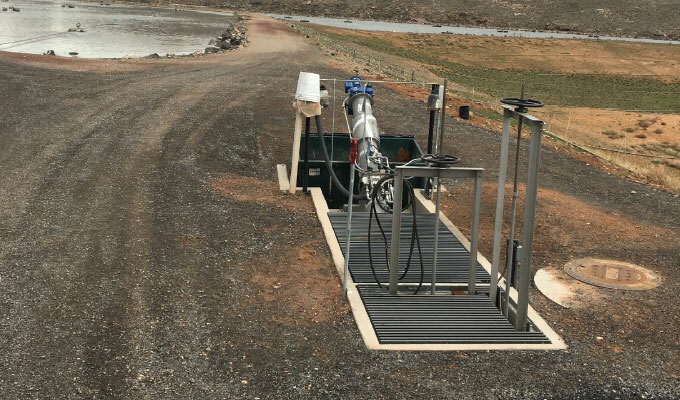 treatment lagoons treating 1.5 million gallons per day and over 300 acres of farm land, a new screen has immediately improved aerator reliability, with an added benefit of significantly improved system aesthetics. Constructed in the early 1980s, the lagoons transitioned over the course of the next twenty years from facultative to aerobic lagoons, with the installation of surface-mounted aerators. 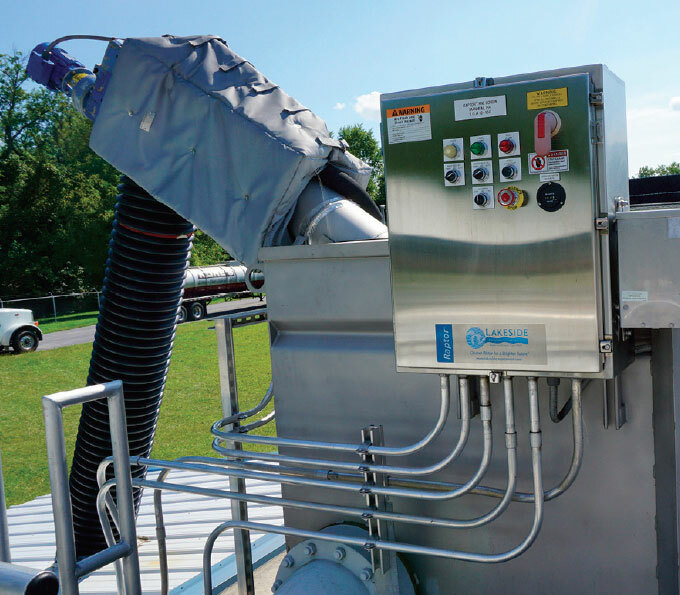 Due to the increasing use and disposal of wet wipes (“flushable” or “non-flushable”), Ash Creek Special Service District regularly struggled with mechanical breakdowns in their lagoon aeration system. 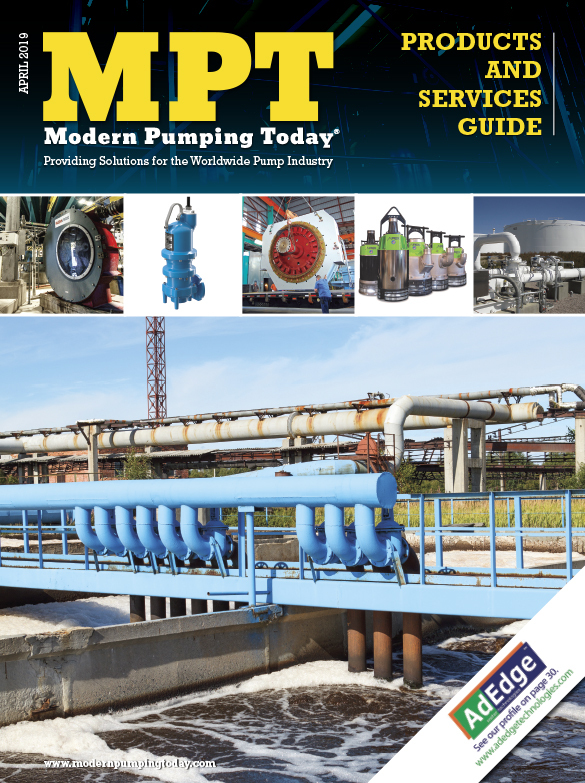 An accumulation of wipes and rags would become bound around the aerator drive shafts, reducing performance until the motor became completely bound, resulting in an over-amp fault. A grinder installed for the purpose of shredding the rags proved ineffective, because shredded rags and wipes recombined in the lagoon mixing areas and re-emerged as chords and ropes of the residual debris. Frustrated personnel at Ash Creek Special Service District (which serves the towns of Hurricane, La Verkin, and Toquerville), were spending excessive amounts of time on maintenance, while aeration performance in the lagoons was regularly impaired. District staff began a process of site visits to wastewater plants in the area, requesting feedback from system operators on their satisfaction with screening performance at their facility. Simultaneously, staff began identifying key requirements for the screening system that they would ultimately like to see implemented at the District’s facility. These requirements included a very high capture efficiency, a full penetration cleaning mechanism to eliminate the possibility of screen blinding and a single integral screening/washer/compactor unit. “We quizzed local engineers about perceived strengths of various screen types that they had seen implemented in facilities like ours,” reflects District Superintendent Mike Chandler. Benefits of this screen include increased removal efficiency and low headloss—brought about by its cylindrical screenings basket, angled installation and screen bars of varied heights. Inorganic solids that can be harmful to downstream equipment are securely captured. The screen’s rotating rake teeth fully penetrate the cylindrical screen bars, positively removing debris and grease to prevent blinding or plugging. Also suitable for septage receiving, sludge, scum, and grease trap applications, the screen’s heavy-duty design provides durability and long life in the most severe conditions. Captured screenings are compacted, dewatered, and washed free of most organics to approximately 40 percent solids. Volume is reduced by 50 percent and weight by 67 percent, thus reducing disposal costs. Together, Ash Creek’s personnel worked with Lakeside’s team of engineers to design an influent receiving box and control structure that could be easily provided by a local supplier of pre-cast concrete structures. One month ahead of the arrival of the all-stainless steel Lakeside Raptor Screen, the team at Ash Creek installed the control structure and screening channel, also erecting an electrical building and non-potable water air-gap tank for the screening washdown nozzles—as well as installing a screening structure washdown hose bib. Ash Creek’s operators then later installed the (supplied) fully assembled screen and worked closely alongside Lakeside during final commissioning. When the upstream water level rises to a high level set point, the Raptor Screen’s rake arm begins to rotate for removal of the captured material. After the rake arm makes a complete revolution, material falls into a collection trough. For complete cleaning, the rake arm reverses direction at the top of the screenings basket and passes through a hinged cleaning comb. The debris is removed from the collection trough by a central screw conveyor. The conveyed material travels up the inclined transport tube where the material is washed, compacted, and dewatered prior to being discharged into a debris container. Made in the USA, the Raptor Screen’s hinged structural support allows the unit to pivot out of channel for inspection at floor level, while its simple drive assembly also makes service easy and further reduces maintenance costs. Lakeside Equipment Corporation is an engineering and manufacturing company concentrating on helping to improve the quality of our water resources. Lakeside started in the spring of 1928 to engineer, develop, and provide water purification systems to municipalities and companies throughout North America. 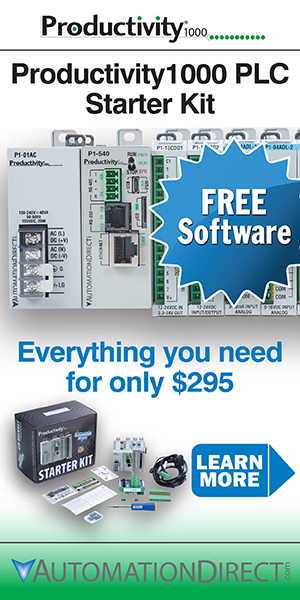 For more information, visit www.lakeside-equipment.com.